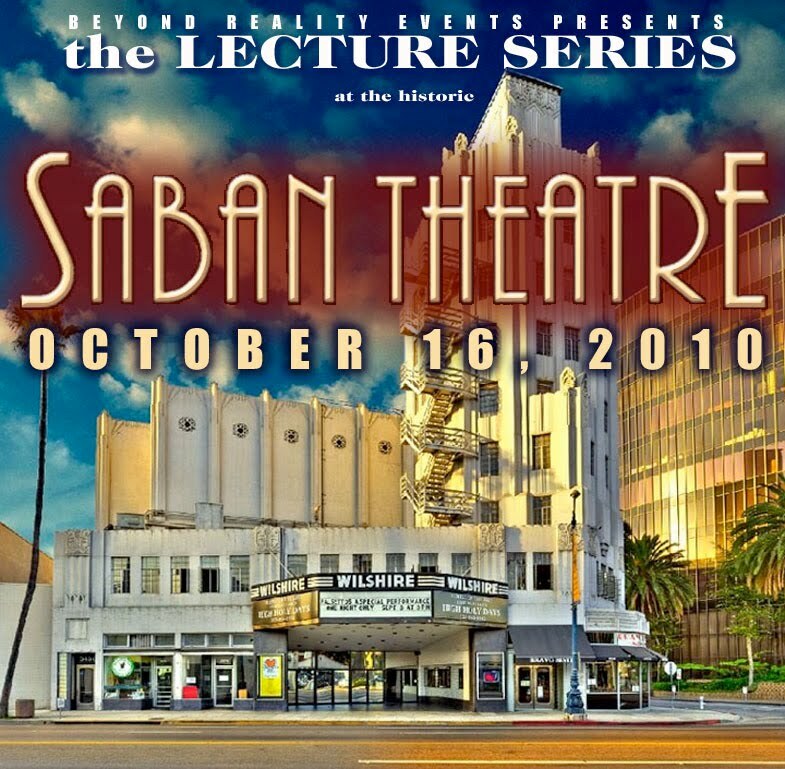 50,000 plus streaming live feed of The Haunted Boy World Big Screen Premiere Event Live on Para X! The World Big Screen Premiere Event for the hit DVD "The Haunted Boy - Secret Diary of the Exorcist" by the Booth Brothers and Spooked TV will be carried on the Para X Radio Network and Para X Television LIVE Thursday, October 21, 2010, from the historic Tivoli theater in The Loop, St. Louis, Missouri. Interviews with the Booth Brothers, stars from the show, and family members of those involved with the original exorcism, plus much more!! The 1973 film "The Exorcist" is regarded as one of the scariest movies of all time. But what's even spookier is the true story of the real-life exorcism that inspired it. With that in mind, paranormal filmmakers Philip and Christopher Booth set out to make "The Haunted Boy: The Secret Diary of the Exorcist," based on the infamous, truly terrifying story of a 13-year-old boy who was allegedly possessed by the devil in St. Louis in 1949. To delve into the gritty details, the twin filmmakers went straight to the source: tracking down an old, secret journal written by the Rev. Raymond J. Bishop, one of the priests involved in the original exorcism of the boy, who's known by the pseudonym "Robbie Mannheim." Spooked TV, The Booth brothers' new movie, "The Haunted Boy," stars actor Justin Goodrich. "There are only six copies of the real, unedited diary floating around the world," Christopher Booth told AOL News. "It's a raw, 26-page account of what really happened to that boy, and it's very intense." So what really happened to inspire William Peter Blatty's "Exorcist" horror novel and one of the most frightening Hollywood movies of all time? The Booth brothers said the real-life exorcism case began with a boy in Maryland who developed extremely strange behavior and markings on his chest, one of which supposedly read "St. Louis." The twins said the boy's family took it as a sign to seek help in Missouri where they had extended family. The youngster stayed at an uncle's house, and there, as the diary reveals, the apparent possession spiraled out of control. "It started to get really scary, with the boy screaming and growling all night, keeping the neighbors up," Philip Booth explained. "So they took him to an asylum and eventually to Alexian Brothers Hospital, where the exorcism was finally successful." Along the way, however, the Booths said incredibly chilling things occurred. "Fourteen signed witnesses saw the boy's bed levitate. 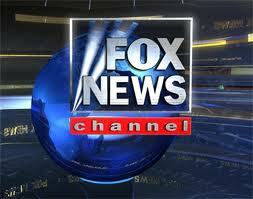 The kid broke a priest's nose and threw five grown men off him during a failed exorcism attempt," Christopher said. "The diary also explained how the boy would write everything the devil told him to say on his bedsheets. He even drew a map of hell," Philip added. And the spooky stuff doesn't stop there. After going through Bishop's secret diary and deciding to make a movie about it, the Booth brothers experienced their own paranormal encounters. Along with a team of professional ghost hunters, including St. Louis-based Paranormal Task Force leader Greg Myers, the Booths visited every single location tied to the boy's exorcism, including his bedroom. They said they set up electronic equipment to catch any paranormal sights and sounds, and what they got back was spine-tingling. "We got a clear EVP [electronic voice phenomena] in the boy's room that was in some other language. When we had linguists study it, they determined that it was Persian for 'I am Lord, I am master,' " Christopher said. "One of the first signs of possession is speaking in unfamiliar languages." For their latest spooky flick, "The Haunted Boy," paranormal filmmakers Philip and Christopher Booth explored the real, untold story that inspired "The Exorcist" book and movie. Needless to say, they haven't been sleeping too well ever since. They also spent some time tracking down the original furniture from the boy's bedroom, including the bed that allegedly levitated and a desk that is said to have moved on its own. "To this day, the furniture is locked up at a military base in Illinois under strict guard. They wouldn't let us see it, but we interviewed the people who moved it into storage," Philip said. "It has to be some pretty powerful furniture to have it under lock and key like that." "The Haunted Boy" will have its world premiere just days before Halloween, on Oct. 28 at Tivoli Theater in St. Louis, and the Booths are confident it'll leave viewers thoroughly freaked out. "I still see black shadows in my room after making the movie," Christopher lamented. The flick is also available on DVD, and -- get this -- it comes with a copy of the 26-page diary that made it all possible. NOW: The Gut & Bone Show starts at 7 PM EST. "The Booth Brothers " tune in and join in the chat room conversations! SyFy 31 days of Halloween presents Death Tunnel, Children of the Grave, The Possessed. SyFy 31 days of Halloween presents Death Tunnel, Children of the Grave, The Possessed. Check local listings for show times. 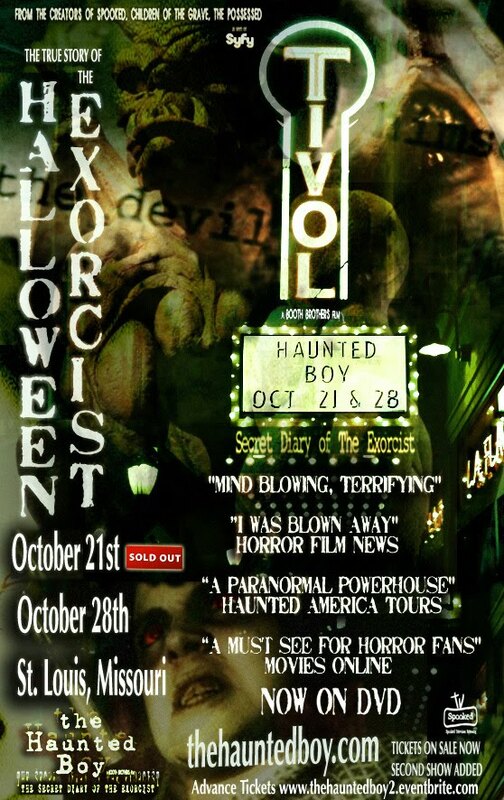 THE HAUNTED BOY Theatrical World Premiere, Tivoli theatre, St. Louis, Oct 21 show SOLD OUT, 2nd show added Oct 28th. 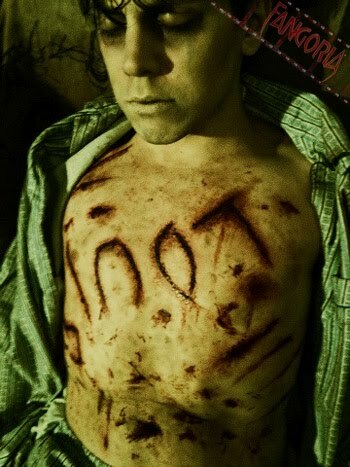 HAUNTED BOY DVD Now at Amazon.com, Special package deal. 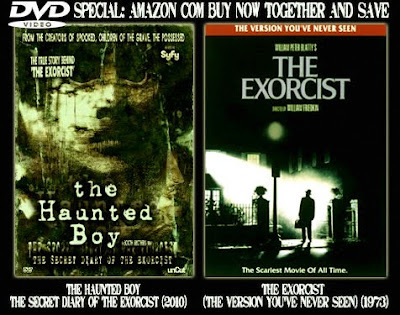 SAVE on both when you also buy 'The Exorcist' (The Version You've Never Seen). 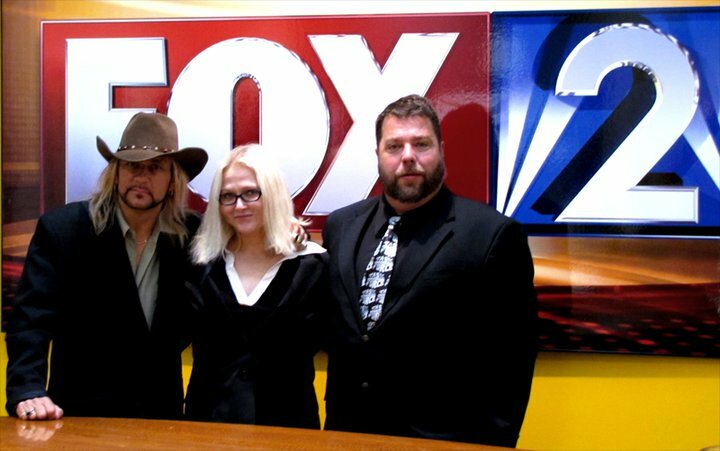 SPOOKED TV AT THE LEMP CAVERNS. The Haunted Boy, The Secret Diary of The Exorcist. Spooked TV and The Booth Brothers as seen on SyFy - NBC-Universal are currently in St. Louis promoting their new paranormal film, The Haunted Boy, The Secret Diary of The Exorcist, which is based on the infamous, true story behind the terrifying, bestselling book and motion picture, "The Exorcist." The filmmakers, twin brothers Christopher and Philip Booth have spent two years documenting and filming their latest film project within the actual locations in St. Louis, while using a copy of the once secret diary written by Father Raymond Bishop as reference to uncover the horrific truth. This journal had been hidden away for over 25 years and chronicles the gritty exorcism. 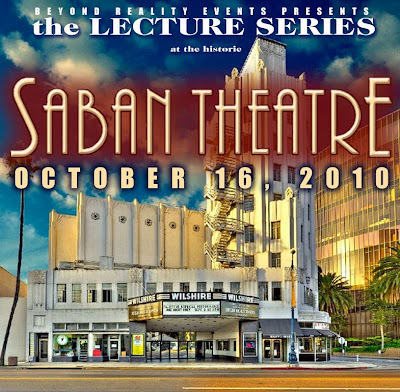 Along with leading local paranormal investigators, Paranormal Task Force and Dr. Michael Lynch Ph.D from Paranormal Tuesdays / Dave Glover show on board, together they delve deeper than anyone else dare , utilizing Interviews with the actual relatives of the "The Haunted Boy "and The Lead Exorcist, Father William Bowdern. Plus heart pounding ghost hunts of the actual house the exorcism took place, the horrifying asylums and the churches the boy was once kept under lock and key. The Paranormal Activity found within these dark, decaying walls are as shocking as the truth itself found embedded amongst the eerie pages of "The Secret Diary of The Exorcist." The film is scheduled to air on SyFy channel, NBC-Universal late November and was released October 1 on a Special Edition, Uncensored DVD. Available at www.spookedtv.com www.thehauntedboy.com and Amazon.com nationwide. A local big screen premiere will also be held at the historic Tivoli theatre on Oct. 28th, 2010 at 8pm in St. Louis, MO, where the original Exorcist case all began. The film will be shown along with a Q&A with the filmmakers, the Booth Brothers and Local ghost hunters, Paranormal Task Force. Tickets are available at http://thehauntedboy2.eventbrite.com for 15 dollars which includes a copy of the diary with ticket purchase. VIP tickets are available for 35 dollars which includes VIP seating, a copy of the diary and an autographed copy of the DVD. SPOOKED TELEVISION REVIEWS: Haunted Boy A real tale that overshadows,The Last Exorcism 10 to 1 with encounters that are truly frightenin: "N"
BOOTH BROTHERS TALK “THE HAUNTED BOY” TO FANGORIA! By Chris Haberman. BETHANY, NY — Christopher Booth wears a bandanna, several large rings on his fingers and his hair at shoulder length. And so even here in the long vacant, third-floor headmaster’s room at the Old County Home you might mistake him for a touring rock musician on hiatus. Except, of course, for the setting. And the stories of demonic possession and exorcism he shares in the soft accent of his native Yorkshire, England Then, you might try to ignore the chill in the air, and the wind that whistles through the open bullseye window on a gusty Thursday afternoon. The brothers have been called “rock stars of indie horror and the paranormal.” This week, they were leading a team at Rolling Hills the former County Home at East Bethany and Raymond roads. They are filming parts of a documentary about what Booth says is the true story behind one of the most famous paranormal stories of all time. “The Exorcist” is a bestselling 1971 novel by William Blatty, about the demonic possession and exorcism of a teenage girl. The book later became what many consider the most frightening movie ever made. Blatty based the novel on a 1949 exorcism of a 14-year-old Maryland boy. 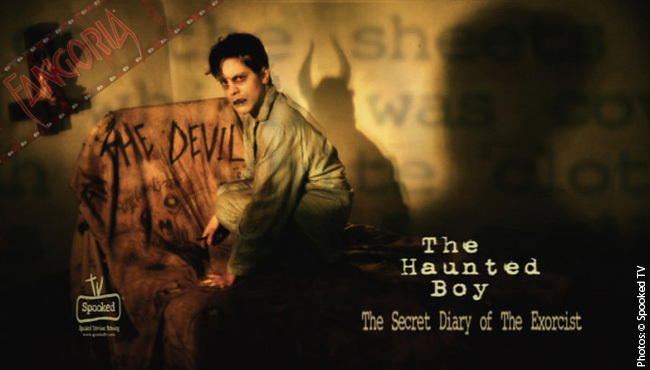 “The Haunted Boy” is based on the diary allegedly kept by the Jesuit priests who performed that exorcism. The diary is 26 pages long, and covers a four- or five-month period, Booth said. And it’s terrifying, he said. “It makes the “Exorcist” movie look like kindergarten,” Christopher Booth said Thursday. “The boy,” he said, “was disturbed.” That nature of his disturbance whether it was a genuine case of demonic possession or psychological is among the questions explored in the documentary. Despite the lurid nature of the tale, Booth said, his goal is neither to sensationalize nor exploit those involved in the 1949 exorcism or their families. The brothers have interviewed the remaining survivors, and have conducted paranormal investigations at each of the sites involved in the exorcism. “This really is the truest documented retelling of what happened,” Booth said. “We want to learn the truth and we want to tell people what we found out.” Rolling Hills is a long way from St. Louis, Mo., where the 1949 exorcism took place. The Booths were drawn to Bethany through their acquaintance with Sharon Coyle, who bought Rolling Hills at an auction last year. Rolling Hills Asylum, Booth said, is also a convincing stand-in for the former Alexian Brothers Hospital in St. Louis. That facility was razed during the 1970s. The headmaster’s room in the old, west wing of Rolling Hills is identical to the hospital room where the 1949 exorcism took place, Booth said. On Thursday, the room was occupied by a cast-iron hospital bed original to the facility. It’s mattress is long gone, and it is mottled with rust. Actors would be playing the parts of the young boy, and the priest involved with the exorcism. The details and the haunting atmosphere of an old asylum would be difficult, and pricey, to duplicate in a studio, Booth said. “Actually, it’s amazing the shape that it’s in,” Booth said. Rolling Hills was established in 1827 as the county poorhouse, and has been much expanded over the years. It’s been the county orphanage and nursing home, and host to a succession of businesses. For years it has also been the site of ghost hunts that continue to attract thrill-seekers, paranormal investigators and filmmakers. It was a ghost hunt that brought Coyle to Rolling Hills a few years ago. She fell in love with the facility, and jumped at the chance to purchase it at auction last year. “If I could wrap my arms around this building and give it a big old squeeze, I would,” Coyle said. “I just love it.” Coyle and her husband, Jerry, live in Huntington Beach, Calif. But Bethany, she said, reminds her of the one-stoplight town in New Hampshire where she was raised. Coyle said she feels destined to have purchased Rolling Hills. She brings to the venture a dozen years of experience as a location manager in television production. She was also involved in trade-show marketing for as many years. 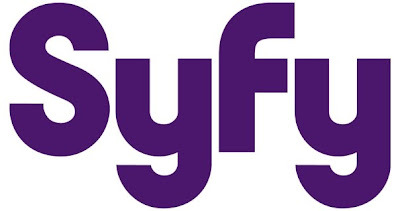 SyFy 31 days of Halloween presents Death Tunnel, Oct. 17th, Children of the Grave, The Possessed, back to back, Oct 27. Check local cable listings for show times.